New vehicle registrations in Japan shrank by 6.9% during the first quarter of 2016. 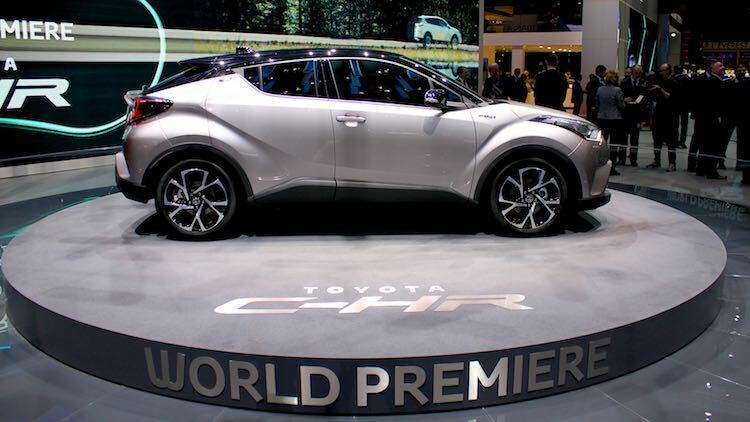 Toyota remained the top-selling car brand and the Prius the top model. Passenger car sales in Japan were even weaker and contracted by 7.5%. Lexus and BMW were the only top brands to have increased sales in Japan during the first quarter of 2016. Mercedes Benz remained the top-selling foreign car marque in Japan. New vehicle registrations in Japan were down 6.9% during the first three months of 2016 with the total number down to 1,470,104 from 1,578,880 vehicles during the first quarter of 2015. This figure includes cars, cargo vehicles and buses. Car sale in Japan remained weak during the first three months of 2016. Changes in tax regimes skewed the numbers in 2015 but the outlook for the Japanese car market remains slightly negative. Commercial vehicles generally performed better providing some hope that the Japanese economy may be in better shape than the car sales indicate. It was mostly red figures all round for all vehicle manufacturers during the first three months of 2016 in Japan leading to very few rank position changes. Toyota outperformed the market and regained some market share while Honda and Nissan both had a weak start to 2016. Suzuki outperformed the broader market allowing it to move into fourth position ahead of Daihatsu that was the first of three top-ten brands with double-digit declines. Mazda and Subaru sales were sharply down. Mitsubishi sales were flat, making it the best performer of the top ten best-selling car brands in Japan thus far in 2016. Isuzu and Mercedes Benz had weaker sales but outperformed the market. Mercedes Benz kept its position as the largest foreign car brand in Japan. Lexus sales were up by a third to move ahead of Volkswagen that suffered a 25% decline in sales in Japan during the first quarter of 2016. VW remained just ahead of BMW, which was the only other brand selling more than 10,000 cars thus far in 2016 in Japan to have increased sales from a year ago. BMW’s Mini brand also increased sales in Japan while VW-owned Audi saw sales down by a fifth. Other car brands in Japan remained minor players. Peugeot and Fiat increased sales by a third but Toyota sold more cars per day than these two brands combined in three months. Smart established itself as the 25th largest car brand in Japan at the expense of Ford. Note: This list excludes Kei (mini) cars. The list of the ten best-selling car models in Japan during the first quarter of 2016 largely resembled the one from a year ago. The Toyota Prius regained the top slot from the Toyota Aqua with the newly launched fourth generation of the Prius IV clearly appealing to Japanese buyers. The Prius was the only top-selling car model to have increased sales from a year ago. The Toyota Aqua slipped into second place at the start of 2016. Over the preceding 12 months, the Aqua remained ahead of the Prius with 192,000 sales versus 156,000. Honda Fit sales continued to slip but the small Honda maintained its third place. Fit sales during the first quarter of 2016 were less than half of the number of cars sold during the first three months two years ago. The Nissan Note maintained its fourth place. Sales were slightly weaker but sufficient to stay ahead of the Toyota Sienta, one of two car models new on the top-ten list this year. Sales of the Toyota Voxy, Toyota Corolla and Honda Vezel were all slightly weaker but all three car models maintained their rank positions from a year ago. The Nissan X-Trail was the other new entrant on the list while the Mazda Demio slipped from fifth a year ago. The two car models slipping out of the top-ten list from last year were the Toyota Vitz – down from 9th to 12th – and the Nissan Serena – down from 10th to 11th.